Fund research for developing a cure and treatment for CDG, advocate for CDG screening, raise awareness about CDG and provide assistance to CDG families. PMM2 deficiency or PMM2-CDG is a very rare genetic disorder caused by mutations in PMM2. It is an autosomal recessive disorder. A defective copy of the PMM2 gene is the most common cause of a disease called “congenital disorders of glycosylation” or “PMM2-CDG”. PMM2-CDG is the most common of a growing family of more than 100 extremely rare inherited metabolic disorders. Only about 1000 children and adults have been reported worldwide. Failure to thrive (FTT) – Failure to gain weight and grow at the expected rate. Cerebellar hypoplasia – Small cerebellum, which is the part of the brain that coordinates movement. Liver disease – Elevated liver function tests. Pericardial effusion – Fluid around the heart. Peripheral neuropathy (PN) – Impaired nerve impulse transmission to the legs. Patients do not respond well to reflex tests. Strabismus – Crossed eyes, mainly presented as infantile Esotropia. Nystagmus – Involuntary eye movements caused by Cerebellar ataxia. Hypotonia – Weak muscle tone, commonly known as floppy baby syndrome. Amour means ‘Resilient’ in Armenian and ‘Love’ in French. It’s not a coincidence that CDG kids are Amour. Our goal is for children with CDG to be ‘Amour’ so that they can live to their fullest potential, walk, talk, smile and laugh like all children. The ultimate vision of the Amour Fund is to find a cure for Congenital Disorders of Glycosylation (CDG) by supporting CDG research. 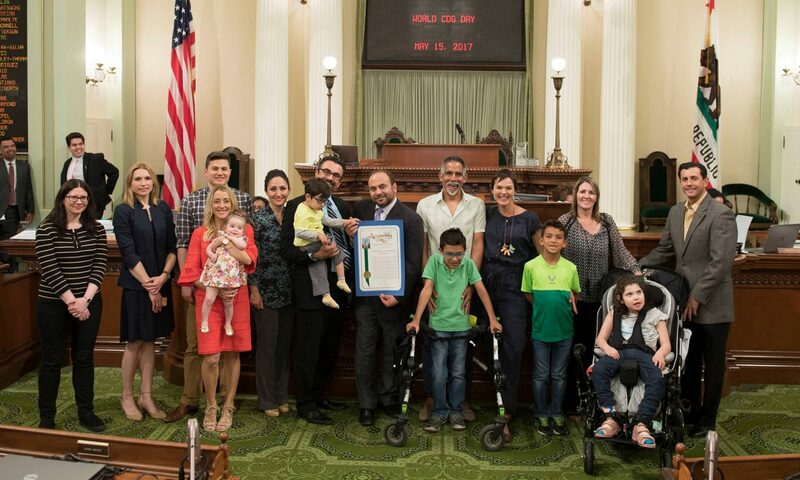 Amour fund honors disadvantaged children, raises awareness about rare diseases, advocates for screening, and provides assistance to those in need. © 2018 PMM2.org and AEO Foundation Amour Fund | We are an all-volunteer 501(c)(3) nonprofit corporation (EIN 36-4611397).